We would like to share with you an email received from Mary, Abner’s owner that she sent to our volunteer caseworker, David Woods, who covers the area where Abner was lost. We think it has a lot of good suggestions and hopeful encouragement for people who are missing a dog, especially one that may be shy or has been lost a long time. Thank YOU, Dave. 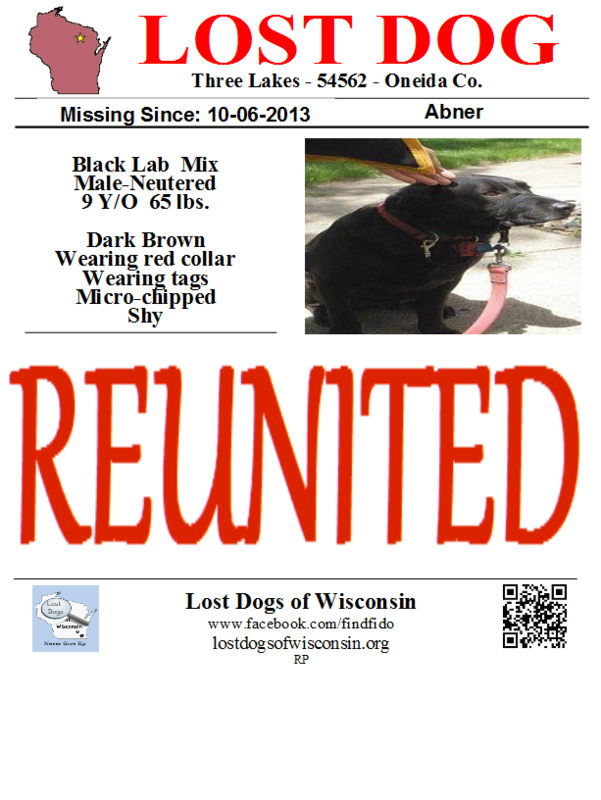 The information and support from Lost Dogs of Wisconsin was incredible, and gave me the tools I needed to get Abner home. I submitted the form, and would like to share more what I think worked the best in my situation – a shy, smart dog lost away from home in a rural area where people do not have internet access at home. 2. Flyers and personal contacts at key businesses – the town store, bar/restaurant, hardware store, etc. What brought Abner in was not a trap, but that he found a place where he was fed regularly, and the people who lived there built his trust and did not pressure him. They created a “safe space” in this woodshed, where he knew he could find food, shelter and water (and warmth). They acknowledged him (Hey, buddy) but did not chase or call him, so little by little he relaxed in their presence. Their sweet dog (pictured in the woodshed, attached) befriended him. Then I was on their property and in their house, so he smelled me and heard my voice (although just as your articles said, he did NOT come to me when I saw him and called him!). We left his blanket in this woodshed. I befriended their sweet dog as well. And of course – grilled out a whole mess of bacon & cheese hot dogs (the Dave Woods trick!!). Somehow, it all came together and broke through, and the day I left, that evening he followed their dog into the house. 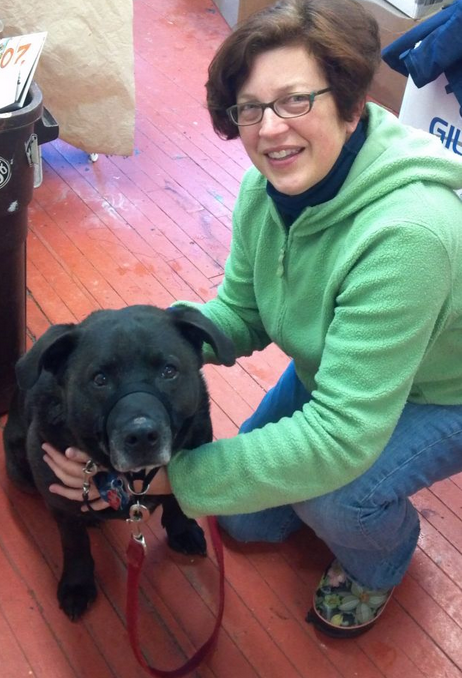 This entry was posted in Reunion Stories, Shy Lost Dog Strategies, Uncategorized and tagged lost dog behavior, Lost dogs, Lost Dogs of Wisconsin, reunions. Bookmark the permalink.